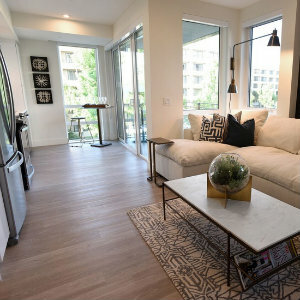 You can live the luxe life in a new upscale apartment community, just across from the Segerstrom Performing Arts Center, and two blocks away from South Coast Plaza. With top-of-the-line luxury finishes and amenities, 580 Anton by Legacy Partners is now leasing a mix of studio, one and two-bedroom homes. And, it’s open daily for tours from 10 a.m. to 6 p.m. The impressive living experience comes complete with valet service and room service from the Avenue of the Arts Hotel. At the relaxing podium balcony, residents can go for a swim in the sparkling resort-inspired pool that overlooks the world-renowned Segerstrom Center for the Arts. The residences feature high-grade vinyl wood plank flooring throughout, along with designer-selected pendant and recessed light fixtures. The gourmet kitchens include stainless steel appliances, premium quartz countertops, a stunning full-height backsplash and under-cabinet lighting. Homes include air conditioning and heating for complete comfort, and select units boast balconies and private patios to take in beautiful views of the city. Studios start at $2,021, one-bedroom units start at $2,146 and two-bedroom units start at $2,975. Currently, if you sign up for a 12-month lease, you’ll receive an exclusive Center Club business membership. To learn more, visit the leasing center or call 844 289 4211.